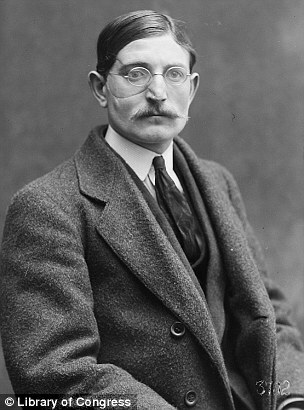 It is rarely that one takes on a task much greater than one would anticipate. 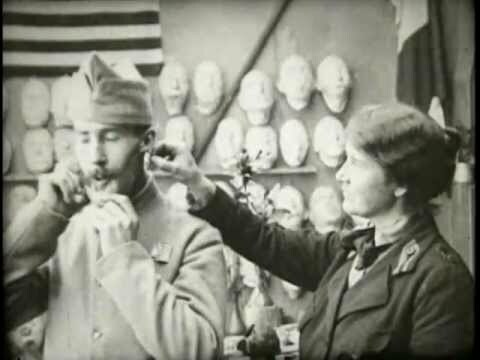 Responding to the horrors inflicted by large scale conflicts in the first world war, American sculptor Anna Coleman Ladd reached out to the most vulnerable soldiers -- the ones who faced life altering disfigurements wrought by flamethrowers, shrapnel and bullets. 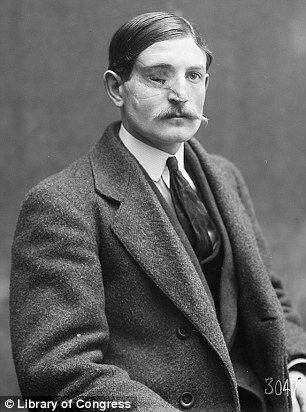 Of all the disfigurements, facial ones wreak the most havoc -- the psychological and social impacts of which are most devastating. 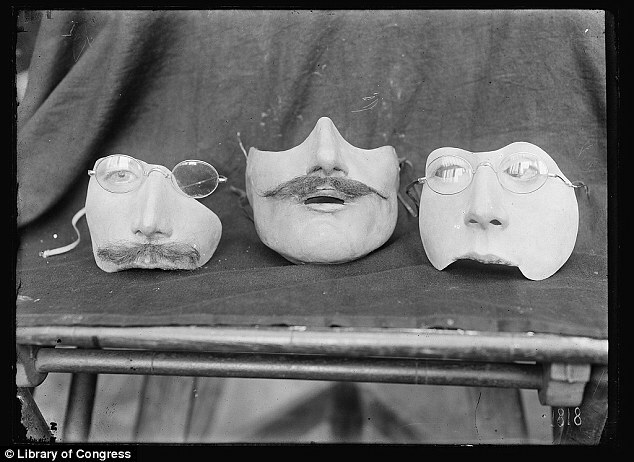 In 1917, Anna Coleman discovered portrait masks pioneered by British sculptor Francis Derwent Wood (who later, went on to teach sculpture at the Royal College of Art.) 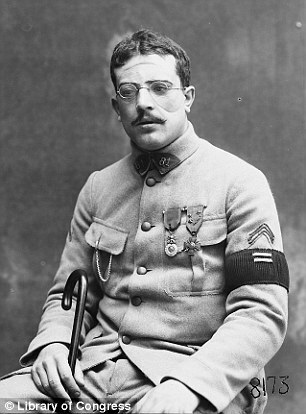 Francis Wood made prosthetic pieces from extremely thin galvanized copper for disfigured British soldiers inside of a place called the ‘Tin Noses Shop'(officially ‘Masks for Facial Disfigurement Department.’) Learning the craft from Wood -- the process of making a plaster cast of the soldier’s disfigured face. 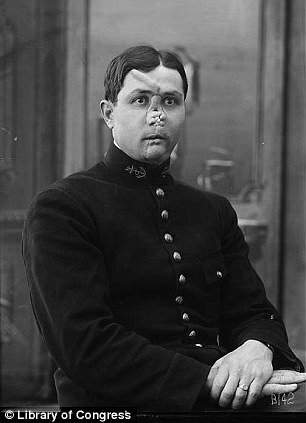 Then using photographs of the soldier prior to the injury to create a second mold that resembled the soldiers non-disfigured appearance. Then, a final cast taken from that mold to create a super thin copper replica. 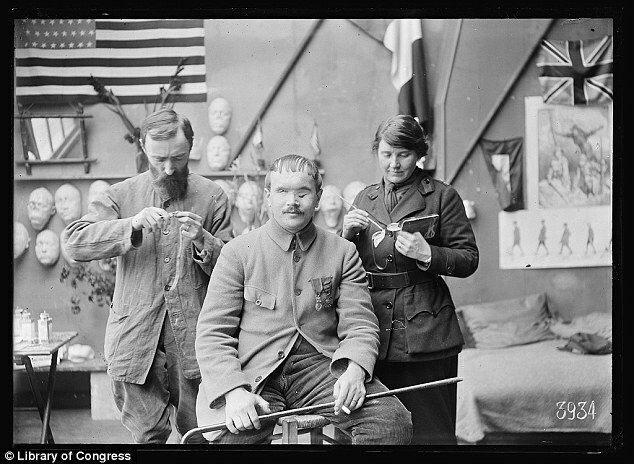 The final copper mask would be painted on while it was on the soldier so that it would closely match the soldier’s actual skin tone. 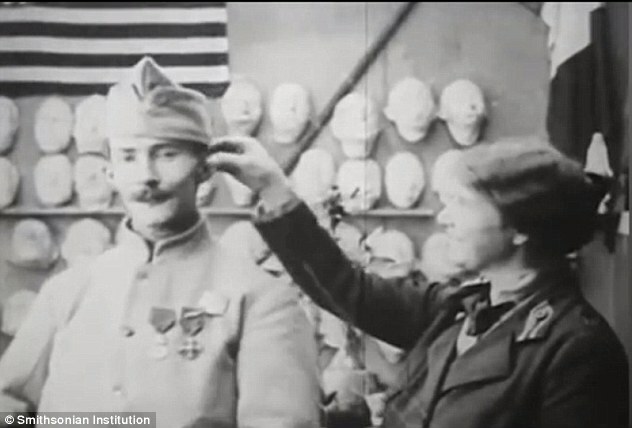 After consulting with Wood while in Europe, Anna Coleman founded the ‘American Red Cross Studio of Portrait Masks’ in the artists’ quarter of Paris in December of 1917 and she employed four assistants to help her create masks for the ‘brave faceless ones,’ which is what she called the soldiers. 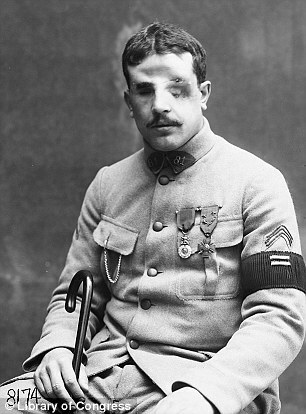 Like Francis Wood, Anna Coleman Ladd helped more than two hundred soldiers with facial disfigurements -- helping them rejoin society and family life with dignity, and in an age where current innovations in surgical facial reconstruction where a century away, they put their artistic abilities to heal and support the most vulnerable. As they say, not all heroes wear capes. 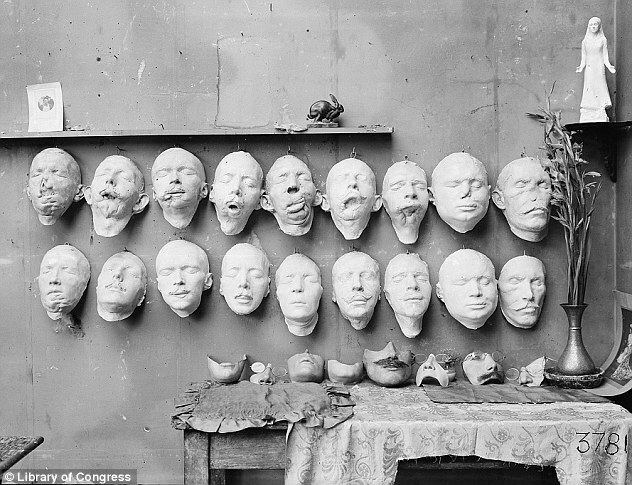 Various casts taken from several injured soldiers’ faces. 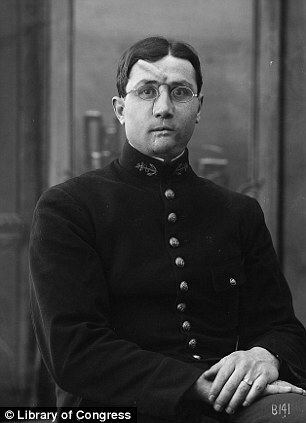 On the table are some of the final masks made to fit over the disfigured part of the face. 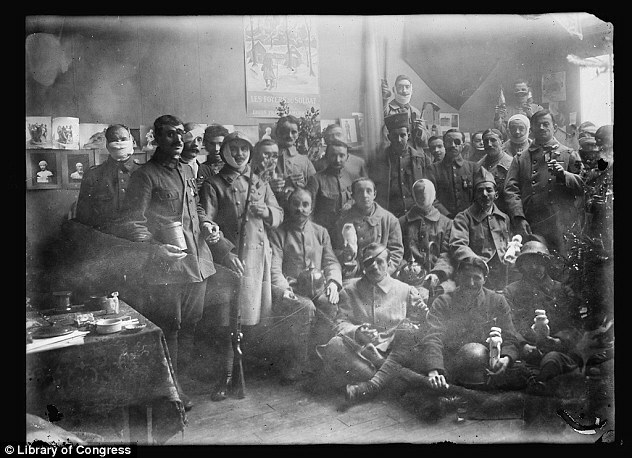 Soldiers inside Anna Coleman’s studio on Christmas Day in 1918.